Zhu Chi is a short name for a monastic or temple Sangha leader. Over-time other words were used to describe the same post in Buddhist temples and monasteries. 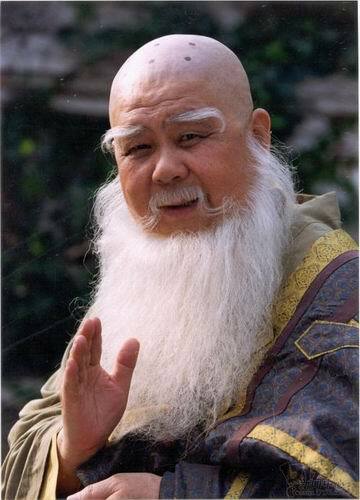 Zhu Chi is also used to refer to the head of a Chinese Daoist temple. Another name for the Sangha leader in China is ‘Fang Zhang’ (方丈). This designation derives from the Vimalakirti Nirdesa Sutra which teaches that the layman Bodhisattva Vimalakirti had a bedroom that measured only ten square feet in the material world of delusion – but that in the realm of enlightened reality, its capacity was limitless. This analogy is used to describe the community leader’s room, and explains why the post of ‘Zhu Chi’ is also known as ‘Fang Zhang’ (or ‘ten square feet’). These Buddhist terms are used differently to similar terms found in the Immortal Island stories of ancient China. During the Song Dynasty, the preferred term for a community leader in a Ch’an temple or monastery was ‘Si Zhu’ [Temple Master]. The man or woman who held this post was commonly referred to as the ‘head monastic’, according to the ‘Ordination Rules of the Temple’, which stated the leader always stands at the front of the congregation and leads it into the Dharma Hall.